According to projections, South Africa will need to generate energy from coal until at least 2040, says Vuslat Bayoglu, managing director and co-founder of SA-focused mining investment business Menar Capital. He took part in a panel discussion on coal and renewables at Mining Indaba 2019 on Wednesday. "There are ways to deal with pollution from coal. There is technology for filters and on top of that there is carbon capture and storage technology," he argued. "SA needs jobs to transform the economy and create stability in the country. At the same time, we need to deal with pollution, but we have to keep coal alive. We don't know what will happen in 118 years, so SA should benefit from existing coal resources." "SA needs coal. Coal will not disappear, but the coal industry will work hand in hand with renewables. Renewable resources and coal are actually complementary. The world needs renewables, but renewable energy only supplies less than 1% of energy in the world," he said. "We need to look at how to generate energy in the least polluted way. Wind and solar are realities for SA, but that does not mean it will kill coal. It is also a reality that new coal plants are being built in other parts of world. 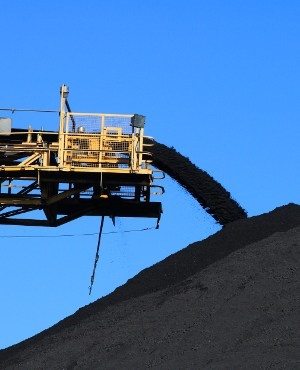 SA needs diversity as well as investment in coal." "Major companies have diversified so that coal is not a big part of their business. The largest coal projects are coming from junior coal miners," she said. "When you have to grapple with the sheer magnitude of climate change and the long-term nature of its likely impact, it becomes very important for analysts to price in risk. The coal industry must think seriously about how to present its case so investors can see what the likely impacts of their investments will be in the near and long-term." "The JSE has been an early adopter of corporate governance tools. There is a lot more energy companies can disclose to show they are leaning in to a lower carbon footprint," she said. "Like it or not, these changes will happen. The longer the coal industry takes to lean into this, the harder it will be for them."